I tried repairing the program. That made no difference. I deleted it from my computer and re-installed it and that has made no difference either. I have used Roxio for years in its various incarnations but I've always had problems with it suddenly not working properly for some inexplicable reason. Usually, re-installing it cured the problem but it's not working this time. There are only a limited number of installations allowed before it locks you out! Stick with Repair. What is the total TIME of your project and what capacity disk are you using? Will it burn to File (ISO)? If so, will the ISO burn? We also see this when there are issues with the source file. 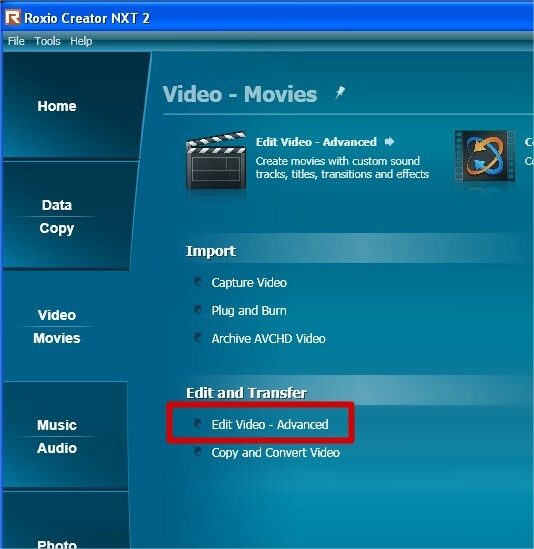 You should try rendering it in VideoWave and start a new MyDVD project using that file. Burn to ISO to see if that helps. The type and time of the video files and the capacity of the disk should not be a problem since I have been recording a number of nearly identical projects with no problem until now. I have not tried burning to ISO but can give that a shot. Where do I find this VideoWave? Is it supposed to come with Roxio because there is no program like it on my disk. Seek and ye shall find . . . . In the unlikely event that your menu doesn't have that item, get back to us because you have a corrupt installation. Thank you, Brendon. I found it! It looks somewhat similar to Corel VideoStudio. I'll try to use it and see what happens. Now if I could just figure out why it won't work on my husband's Win7 where it had burned dvd's without problems for weeks! Microsoft have taken to pushing out "Monthly rollups" of their updates to Windows users, and the Windows 10 rollup for this month caused a number of problems for people making DVDs. Perhaps it's a long shot, but I wonder if Windows 7 updates might have upset your husband's machine? To be honest, it never gets updated. We were on dialup until very recently. Now we have very expensive and very limited WIFI so we don't let things update much. The one thing about computers that totally frustrates me is their unpredictable foul ups. Why something can work without a hitch for months on end and all of a sudden stop working baffles me no end.